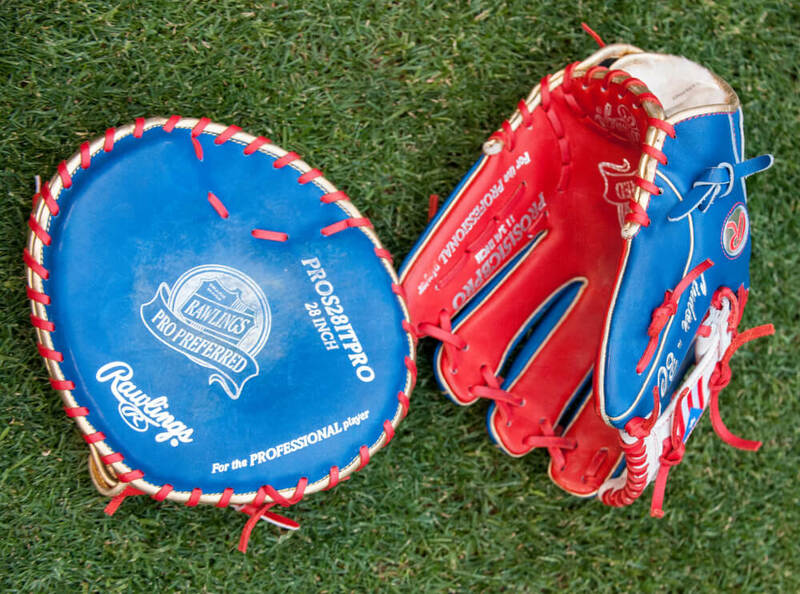 We’d been eyeing Francisco Lindor’s patriotic Rawlings PROS15ICBPRO glove since the WBC and thanks to @moosetography we finally got a closer look at it. This is what Puerto Rican pride looks like: an 11.75″ Pro Preferred I-Web that Lindor seems to really love. He doesn’t game it, but he practices with it often. 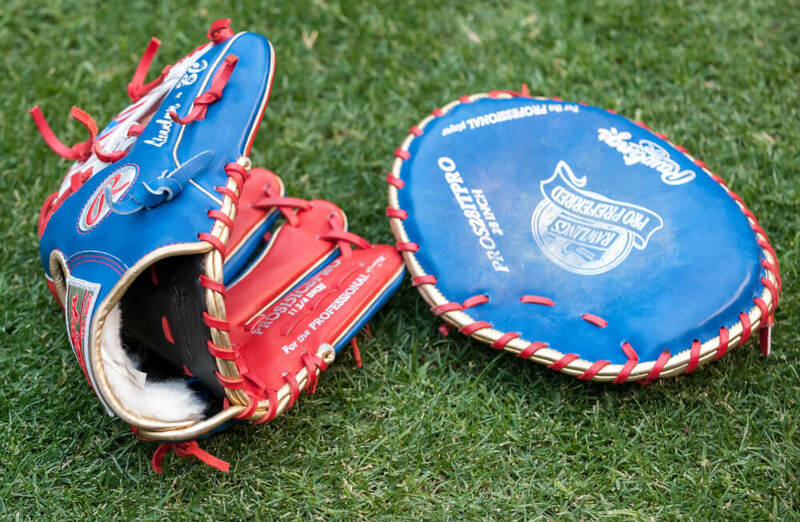 You can get a very similar version of this glove at the link, including the gold metallic binding and Puerto Rican flag. 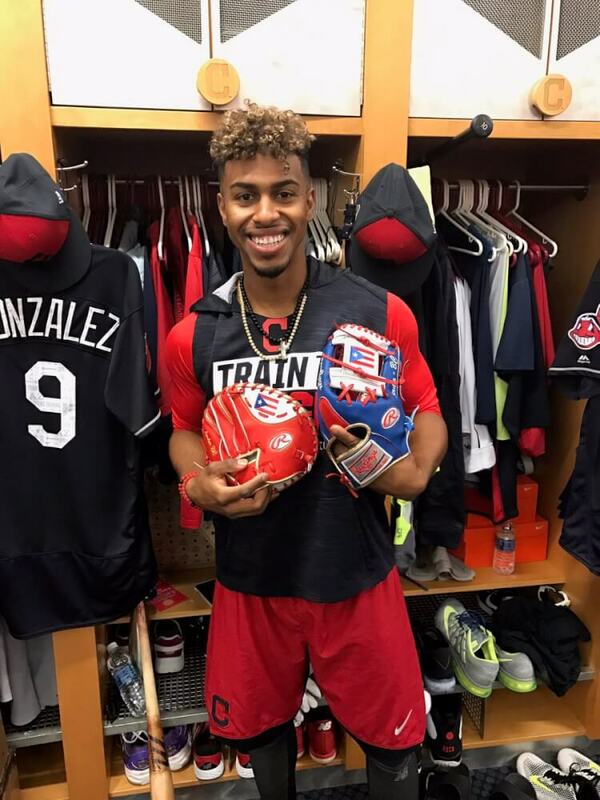 The matching trainer, which Lindor likes to show off his lightning-quick hands with, is not available, but we found something similar on Baseball Express.